Excellent for traveling the world! 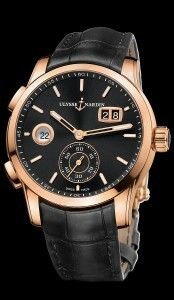 Polished rose gold 43mm case, with GMT Dualtime function, in house automatic movement, and date indicator. With the simple push of the side button you can change from different time zones. 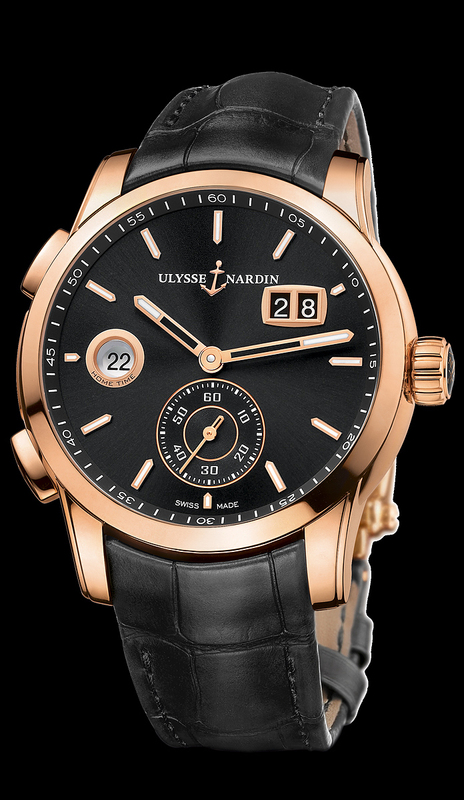 It features a sapphire glass exhibition case back, available on elegant crocodile leather strap and rose gold folding buckle.